Unique identifier is an unique sequence carried by a two-dimensional barcode allowing the identification and authentication of the individual pack on which it is printed. Two-dimensional barcode allows large amounts of data in a relatively small area. A device allowing the verification of whether the packaging of the medicinal product has been tampered with. Serialization is the allocation and identification of the unique number or identifier on the individual packaging unit of the same product, which enables tracking of the product throughout the entire supply chain. 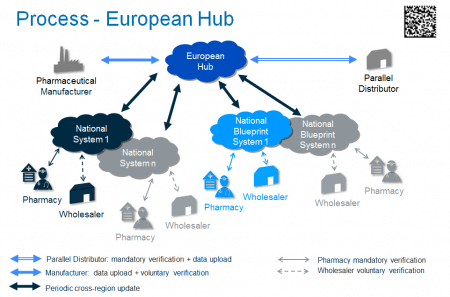 Each national or supranational repository composing the repositories system shall exchange data with the hub using the data format and data exchange modalities defined by the hub. 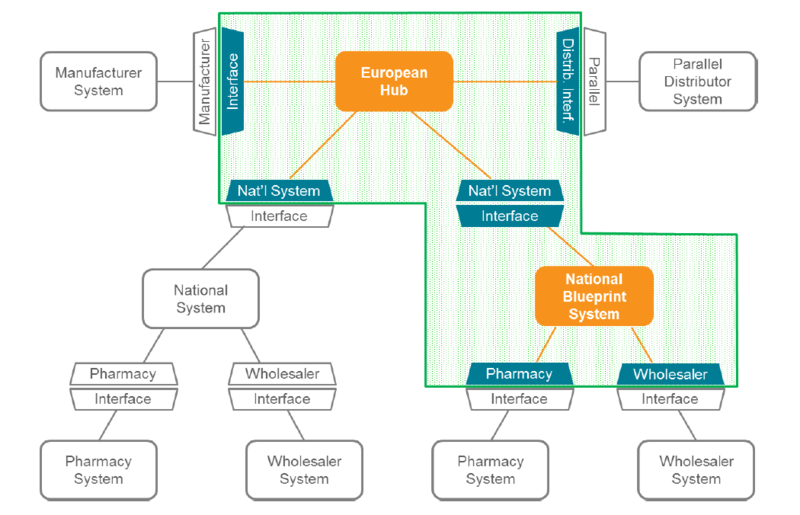 Where notified by a national or supranational repository of the change of status of a unique identifier, the hub shall ensure the synchronization of that status between those national or supranational repositories serving the territory of the Member State or Member States where the medicinal product bearing the unique identifier was intended to be placed on the market. 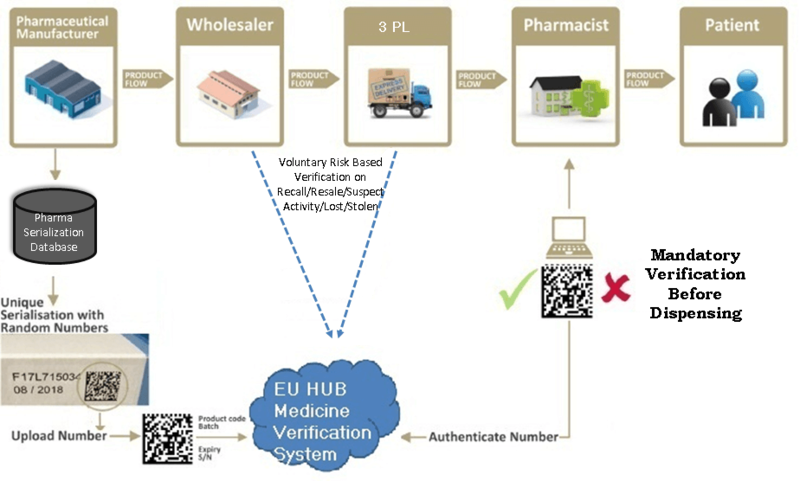 Each member country of the European Union must establish a National Medicines Verification System – NMVS. The system is established and operated by the competent National Medicines Verification Organization – NMVO. The role of NMVO in Slovenia is performed by the Medicines Verification Institute – MVI. exchanging data with a wider European network of archives and systems in the European Union central hub.